Thai Sumeda Ltd., which has been engaging in the production and distribution of high quality incense sticks for a period of 30 years securing the respect of local and international communities alike, received the dual awards ‘Janabhimani Gaurava’ and ‘Helaye Maha Viru Ravana Rajabhimani Gaurva’ at the ‘Janabhimani Gaurava Pranama – 2018’ awards ceremony held recently which was hosted by the All Ceylon Independent Media Organisation. The awards ceremony which was organised for the 10th time, presented these two awards to Thai Sumeda as a token of appreciation for its contribution to the national economy through the worldwide distribution of high quality incense sticks belonging to different types and by prioritising social welfare, producing in high quality what is necessary for the country to re-establish the dwindling village life. 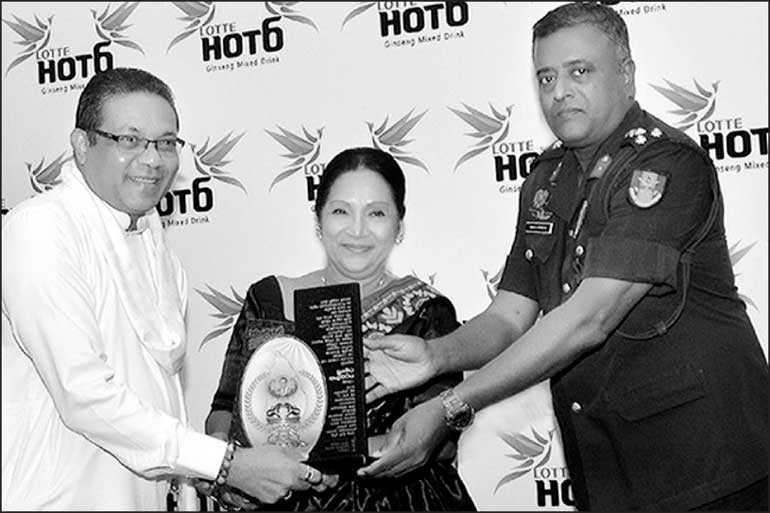 The dual awards were presented by renowned artist Sathischandra Edirisinghe, acclaimed actress Malini Fonseka as well as actress Sriyani Amarasena, and Military Media Spokesman Brigadier Sumith Atapattu to Thai Sumeda Ltd. Managing Director Sumeda Elpitiya.